One of the things about Driscoll's discussion about spiritual warfare was taking as given his accurate perception of events. For instance, for those who may remember the story Driscoll recounted of somehow continually running across the same black hoodied guy while driving Grace home in her car, Driscoll's story presumes a number of details that are impossible to be sure about. Given how an incident with a knife-wielder turned into a man with a machete charging the stage it's not entirely certain Driscoll was driving 30 miles an hour in his story noted at the first part of this series just because Driscoll said so. It's also not certain the Driscoll's weren't driving in circles rather than a straight line. It's not even remotely given that there was anything demonic about the incident except maybe Mark Driscoll's possibly ignorant and inattentive driving. But the stairwell case, see, that's an interesting case because "feeling of a presence" is something that has been the subject of research lately. Ghost research has focused less on the existence of ghosts and more on ways the brain can misfire in ways that lead people to believe ghosts are near them. In the United Kingdom experiments with infrasound have shown that it's possible for someone to feel a ghostly presence in a concert hall if sound frequencies too low for humans to audibly hear are introduced. With these kinds of studies in mind it may be worth noting that while Driscoll tended to attribute his experiences to actually external presences newer research suggests at least one other possibility, that some of the things Driscoll encountered may have indicated possible misfires in his own brain. ... The sense of someone near you when no one is actually there is called “feeling of presence” or FOP, apparently, according to a new study in Current Biology that identified the regions of the brain associated with this sensation and, wildly, recreated it in a lab setting. confusing sensorimotor signals to healthy people with no neurological disorders, and were able to create FOP on command. Participants controlled the robot by moving a stick in front of them, which caused a metal arm behind them to touch them on the back in the same pattern, as seen in the video below. Since Driscoll and company went to the trouble to present so much of Driscoll's 2008 spiritual warfare session for public consideration Wenatchee The Hatchet plans to keep discussing various elements of it this year. It will even be worth revisiting some of the more infamous bits not in light of a reflexive cessationist polemic but in light of other kinds of research on the life of the mind. A good deal of what Driscoll has taught leverages the ignorance of the average person not only about biblical literature but also about mental health. As Driscoll takes time away from the spotlight now there is time to shine a spotlight on the behind-the-scenes session from 2008. As research emerges that suggests that the brain's failure to perceive the unity of body and mind can be a possible account of ghost stories then it may be worth highlighting this discovery and line of research as potentially applicable to Mark Driscoll's stories of encountering forces and incidents he couldn't explain. It may be possible such has been the case with Driscoll. ... it is no surprise that G.K. Chesterton goes on to say that we should be afraid of both spiritual corruption and of cowardice. In the context of what he wrote, spiritual corruption would include calling a fellow believer a heretic or an apostate simply because they disagree with us. Cowardice would be our willingness to assent to evil simply because we are afraid of the consequences of defending the weak and the helpless. But, there is a cautionary tale here. The cautionary tale is that it is all too easy to define courage as being the opposition to anything or anyone that disagrees with us. That is, we set up false devils. That is a very real and present danger. G.K. Chesterton was a Roman Catholic. He was quite accustomed to non-Catholic Christians in England calling him a heretic or dismissing him as someone to whom we should not listen. It was not until 1829 that Roman Catholics regained most of their rights. It took another few more years before the last restrictions were removed. G.K Chesterton was born less than 50 years after the passage of that Act, and would have know many Roman Catholics who remembered the days when their liberty was severely diminished. When he visited America on speaking tours, he would have met many Americans who still would consider him a non-Christian. Of course now Chesterton is the favorite Papist to quote of American Calvinists! For those who might consider public critique of the leadership culture of Mars Hill as the enemy's work, this could be a sign of the idol that has been made of Mark Driscoll and Mars Hill. Why? Simple, because if one equates critique of the system with the work of Satan even when the most trenchant criticisms in the last year have come from professing Christians every bit as evangelical as Mars Hill has been then it simply makes no sense to broadbrush the critique as coming from liberal/heathen/progressive people. The most telling indication that Driscoll and Mars Hill had become idols may be the prevalence of defenders of both considering "critics" to be the problem. Driscoll used to say the problem we have is we take ourselves way too seriously and don't take God seriously enough. Paradoxically Mars Hill and Mark Driscoll may be known as idols less for the praise and credit they may get from people who praise them than by the vitriol those people may pour on fellow Christians as somehow being responsible for the death of Mars Hill. Make no mistake, the Board of Advisors and Accountability has the power derived from the Mars Hill bylaws to authorize the voluntary dissolution of the corporation. Nobody could "kill" Mars Hill except the members of the BoAA. Wenatchee The Hatchet didn't and couldn't vote to destroy the corporation known as Mars Hill. People like Matt Rogers did that. Graham correctly notes that there was no one thing that took Driscoll down but the cumulative weight of a series of scandals. We're nearly at the one year anniversary of Mefferd's interview, after all. Disgruntled ex-members and ex-leaders, some of whom started websites delineating their grievances, were gaining attention from the mainstream press. The first link is to Matthew Paul Turner's website and by no stretch of the imagination can Wenatchee The Hatchet recall Turner being either a former member of Mars Hill or a former leader. Wenatchee The Hatchet as a former member, sure, former leader ... well ... not really. Wenatchee The Hatchet is a blog that started back in 2006 when Wenatchee The Hatchet was mainly a pretty content member of the church and the blog did not start with any plans to keep tabs on Mars Hill as such. That emerged slowly from about 2007-2012. Ironically Ruth Grahams coverage in Slate in 2012 that claimed Wenatchee The Hatchet had written criticism of Driscoll's leadership style was one of the key catalysts in the shift in this blog toward Mars Hill. Graham's Slate article linked to a post that was not discussing Driscoll's leadership style at all, but registered a rather dry and indirect critique of the competency and goodwill of the "biblical living" department and of pastoral counseling activity at Mars Hill, a subject which has generally not gotten any serious discussion in the press or even to some degree amongst bloggers. Wenatchee The Hatchet left on mutually good terms with his campus pastor and was under no discipline of any kind. If Wenatchee has been disgruntled it has been as much or more about the failures of the press (secular and Christian) to have adequately engaged the subject of Mars Hill in the last four years. It's only been in the last year that the secular and Christian press has started catching up to things. Some have done a fine job of breaking stories even Wenatchee had not heard about (namely Result Source). But that's not quite the same thing as describing this blog as the product of a disgruntled member. If the press had done a better job this blog would have been cheerfully dedicated to things like classical guitar repertoire and cartoons rather than compensating for the failures of the press. So, though Graham's overall picture has much to commend, Graham seems to keep stumbling in understanding and describing this blog. :) And Turner ... man ... it's kind of a misstep to report Turner as having a membership at Mars Hill. But if you can set aside those little details there's a decent overview of some things in the piece. the transcript project will continue but this weekend has a few things going on in the Puget Sound Wenatchee doesn't intend to miss (like a guitar recital and the still-in-theaters latest from Studio Ghibli). It's been on the market six days by Redfin's account. So in addition to leaving Mars Hill Mark Driscoll apparently has plans to try selling the Montlake estate. This was tried circa 2008-2009 to no effect but that was in the wake of the housing bubble bursting. The house in Woodway was deeded to Driscoll's sister about a year ago and so simply moving to somewhere else wouldn't be an encumbrance in terms of who had the deed to what property. Transferring the Woodway house to the sister kept the real estate within the family but why the ownership would have been shifted is somewhat mysterious. It's not like it kept the press from discovering where Driscoll lived (note that the press has never actually published the address, contra Mark Driscoll's sob story at the Gateway conference). But if the Driscolls were considering moving or living out of state anyway such a move would at least make some sense. Which may raise yet again what the distinction was between Mark Driscoll's public rhetoric about his fondness for the city (which was by implication Seattle) and the reality that he lived away from Seattle for years and may have privately designed to stop living in Washington state altogether. You can read about that at the link. Transcribing the 2008 spiritual warfare project is still coming along but's not a swift process and there are other things to keep tabs on as the corporation breathes its death rattle. It's going to be important to present and discuss the 2008 warfare session to shed some light on what Tompkins called the "ad hominem" narrative and for other reasons Wenatchee The Hatchet will eventually get to. It will even touch upon the work of Peter Jones, actually. Turner may have already packed his bags and left Washington state. Since Driscoll deeded the Woodway house to his sister anyway he may have already had plans to move out of state years ago and those could just become more official. People are speculating that he might go to Orange County. In light of the allegations that have come to light about the executive elders knowing of the eviction risk and deciding to play chicken with a city in California then California might not be ideal. Texas, though, might be a possibility, since Driscoll showed up at a conference in Texas. More crucially, Texas refuses to acknowledge debts legal and fiscal in other states that don't involve a federal issue. Since there's no chance the IRS will get involved with anything to do with Mars Hill even if the WA attorney general did investigate things if Driscoll moved to a place like Texas, Wenatchee's understanding is that Texas won't care too much about whatever money hijinks might be alleged to happen in Washington. Since Sutton Turner was/is Texan it's not like Driscoll couldn't have heard of the potential benefits and unique traits of the state. Texas would be a more "fresh start" state and Driscoll's basically been a televangelist for close to a decade now anyway so maybe he could seek out TBN style church and ... well, it's not like he hasn't slowly become everything else he used to make fun of from the pulpit by now, unfortunately. Wherever Driscoll goes he may or may not take the Mars Hill branding with him and rumor is he's asking for his intellectual property. Now that we've had a chance to learn that his intellectual property is not that great in terms of originalty of thought or quality of doctrine Driscoll "could" lean more word-faith. After all, he shook hands with T. D. Jakes in 2012 and revealed the pragmatic streak running in his approach to pastoral ministry. But it remains to be seen if the Washington state attorney general does anything just yet and whether the legal officers of Mars Hill Church who have the most to answer for about the Mars Hill Global fund are even in Washington state and within the actions of the state by the time the attorney general may do anything (assuming for sake of the public discourse there's stuff to investigate). Well, third time's a charm for dying a miserable and humiliating death when it comes to Mars Hill getting a school off the ground, even in the case of a partnership. Capstone had three academic years mapped out but fizzled, possibly because once Mars Hill discovered its 50th street building was a boondoggle with respect to Driscoll's vision-casting in his 2006 book the school wasn't a priority any longer. So Capstone died without even a whimper and around 2009 Driscoll announced that Mars Hill Global was part of a big fundraising push to get the Resurgence Training Center up and running. And Resurgence Training Center had all of one academic year that may or may not have lasted two calendar years and then it, too, withered on the vine. So Mars Hill Schools was the third attempt to start a bible college/seminary on the part of Mars Hill. And now it's dead, too. Corban is looking for an alternate location. It can't be said too many times that Driscoll had always envisioned the movement he was starting up to start a school and a record label alongside planting churches. And the evidence of its history shows that Mars Hill kept committing to starting a school even though at best it was a nascent denomination that had neither the financial nor infrastructural soundness to be undertaking such a project within the founding generation. Driscoll and company apparently were determined that Mark Driscoll be able to see this stuff in his own lifetime. Whereas David did not build the temple in his lifetime and left the foundational materials to his son, Driscoll seemed to want to be able to see everything for his envisioned legacy come together for him within his own lifetime. Because, maybe, Mark Driscoll never took to heart the part in Hebrews 11 that said the heroes of the faith died having not seen what was promised ... .
And so now the odds of Mark Driscoll being part of a movement that founds an evangelical seminary in the Pacific Northwest seems even more remote in the wake of the plagiarism controversy, the Result Source controversy, his own resignation from the church he co-founded and the dissolution of the corporation known as Mars Hill Church. if Bruskas goes back to New Mexico we might as well raise a question about what Bruskas has ever done in the history of Mars Hill. Was he the one who got City on a Hill to Mars Hill in 2009? Then he became an executive elder? You know, that's gotten Wenatchee The Hatchet thinking. Let's review elder roles and real estate for a bit. Paradox, purchased and renovated by Lief Moi in the late 1990s. Let's skip ahead to Ballard, which was acquired in 2002. The corporate headquarters was acquired in 2005. West Seattle was acquired in 2006 and that acquisition came about through the signatures of Bill Clem and James Noriega. By Mark Driscoll's account he'd wanted that piece of real estate for ten years and Clem had been tending a wife who was dying of ovarian cancer, while Noriega had come to Christ in 1999 and in 2006 was a newlywed on his second marriage and had a press-documented history of felonies. For some reason Noriega was greenlit for eldership at Mars Hill when he may not have been ready. Then again, he was already an elder at Doxa in 2006 and that should raise questions on who was in charge of church planting scout activity in the formative years of Acts 29. That would have been Mark Driscoll in 2001. Bill Clem ended up being lead pastor at Mars Hill Ballard. James Noriega was put on the Board of Directors and given co-leadership of what became recovery ministries and Redemption Groups. Tim Beltz was Chief Operations Officer at CRISTA ministries during the period when Mark Driscoll boasted Mars Hill was able to use Schirmer Auditorium completely free of charge. Precisely how this arrangement was brokered has never been explained but it does raise a question about what happened. Did CRISTA do everything with respect to Mars Hill as a write-off? It might have been possible but Tim Beltz was installed as an executive elder almost immediately after the 2007 by-laws were passed and Beltz was part of the executive elder team until about 2010 when, for no reasons known at hand, stopped being an executive elder. Under the pre-2007 bylaws Beltz qualifications for eldership might have been spotty but after the bylaws got voted through he could be instantly assimilated to the highest level of eldership. He was also a consultant during the re-org that involved setting salaries. In 2007 Lake City/Wedgewood and Downtown were acquired/given soft launches but it's not clear there were any notable people in those acquisitions as yet. Mars Hill Eastside was originally The Vine, planted by Jesse Winkler, and was reabsorbed back into Mars Hill. The Vine was planted in 2005 and re-absorbed in 2009. In 2009 City on a Hill was brought in, too. It seems Bruskas was the one who got the church into the fold of Mars Hill and it wasn't long, apparently, before Bruskas became one of the executive elders. Sutton Turner seemed to be the end point (rather literally as well as figuratively) for an executive elder whose background in real estate acquisition may have been considered a basis for elder qualification. If so then there may be some evidence (if a bit circumstantial) that elders in the history of Mars Hill may have been selected partly out of concern for elder qualification and partly with some eye toward what kind of real estate they could bring along with them. In fact the first acquisition in the history of the multi-site phase of Mars Hill Church in the wake of the 2005 HQ purchase not working out seems to have been West Seattle. Mark Driscoll has mentioned his credentials as a professional journalist (never mind evidence for that) and as a kind of seer over the years. What did he see in two guys at an Acts 29 church plant where one guy was facing burn-out tending to a dying wife on the one hand and the other was a relatively new convert fresh into his second marriage? Did he see two guys eminently qualified to tackle on the challenge of multi-site or ... is it possible he also saw that these two guys needed to literally sign off on giving the real estate he'd always wanted for Mars Hill for a decade to the corporation that was known as Mars Hill Church? Driscoll then let Noriega get fast-tracked into running what became the biblical counseling department. And Bruskas ... Driscoll made no secret his hope for what became Mars Hill Albuquerque would be that it could be a hub for continued church planting and expansion and that he was glad to have Bruskas on the team. And Bruskas became an executive elder ... Wenatchee forgets the year. But by 2012 Bruskas was apparently one of the players in 2012's A Call for Reconciliation. Bruskas' assistant (who was also chief of security) was apparently contact for that call, which might be a question all unto itself. Why did Mars Hill get the idea that having the chief of security fielding responses to the call for reconciliation? And if Bruskas met with former members what did he have to say to them if they expressed reservations about Mark Driscoll's fitness for ministry? Did Bruskas ever tell anyone that he considered Mark to be qualified for ministry? If Bruskas plans to go back to New Mexico and just pick up where ever he left off ... well ... Bruskas has a few things to answer for, too. Just because he wasn't the president of Mars Hill like Mark Driscoll was, or its secretary like Sutton Turner was, doesn't mean Bruskas doesn't have some questions that may be coming his way if he makes his way back to the old school grounds. There's something interesting about this letter of public apology, that at no point does the letter make mention of the bylaws over which Meyer and Petry got fired. Sure, various stories were given as to why the firings took place and Munson might even still believe to this day that they weren't politically motivated and were still "necessary and inevitable" but at this point with the entire EIT of 2007 and a dozen-ish former elders publicly declaring that what was done to Meyer and Petry was wrong and that it was done in a wrong way, it matters quite a bit that Munson formulated the grounds for dismissal around a general theme, that Petry and Meyer distrusted spiritual authority. That's rather abstract though, isn't it? It might be accurate to say Munson believed Petry and Meyer distrusted the judgment and character of the executive elders. Well, let's see what Munson's legacy was. By later 2011 Sutton Turner seemed to consider Jamie Munson to be mainly "checked out" and was so alarmed about the financial cliff Mars Hill was about to topple over under Munson's leadership he apparently issued a memo mentioning it. Munson's resignation was presented in later 2011 as a time where Driscoll mentioned that Munson was above reproach yet Turner's memo seemed to consider Munson's engagement and the competence of Mars Hill financial staff all around to be null. And now that Mars Hill Church is a dying corporation who, exactly, has any reason to be sure that the corporations Munson works with are going to go anywhere? He's never started any companies of note, has he? Storyville was a project that seems more the work of Jon Phelps and Munson only had a five percent ownership in that. In practical terms he may have had an actual managerial role or he may have been window-dressing. We can't know for sure. What we can know for sure was that under Munson's tenure as legal president of Mars Hill the church was running systemic deficits at every single campus. Driscoll said that Mars Hill had a financial model that wasn't good for its long term future before 2012 but this had changed. Evidently not, seeing as the church has been dissolved. If Munson's no longer at Storyville and the only other corporation of any note that he had a leadership role in (Mars Hill) is now dead in the water what future does Munson think he'll have as a leadership consultant? Might he start some companies? When have any companies he's started gotten off the ground? A side company to manage royalties from books he wrote? Well ... in light of the controversies surrounding the authorship and content of Driscoll's books we don't even know if Jamie Munson wrote any of the books with his name attached to them. How do we know those weren't ghostwritten for him by staff at Mars Hill over the years? Did Munson write his books himself or were they ghostwritten? That's something Mars Hill is unlikely to open the books on at this point. But as Mars Hill dies and as Munson's role within the corporation has been scrubbed it will matter that Mars Hill died precisely because Munson was its legal president from later 2007 to later 2011. Four years is not really all that long a time to bring a corporation the size of Mars Hill to the brink of financial ruin in its 18 year history, is it? If we're to believe Sutton Turner's memo as a type of evidence it was Turner and not Munson whose efforts saved Mars Hill from the brink of fiscal collapse. Actually ... Mars Hill opting to sell The City around 2008 to save itself from a fiscal cliff was another potential incident, which raises the specter of whether Zack Hubert was ever compensated for developing The City or whether under Munson's rule Hubert's work was treated as some kind of work-for-hire. There's no evidence amidst the Generous Campaign preaching and speaking that Hubert ever saw a penny from the sale of The City. Wenatchee The Hatchet can't remember any Munson sermons. Munson never seemed to preach and one of the only things Munson said that lodged in the memory was something from about the Dead Men sessions. Munson once said something like, "There aren't any righteous poor in America." About a week later Munson modified the statement to something more like, "There are righteous poor in America, I just don't think there are very many of them." Attenders of Dead Men might be able to establish whether Munson said such a thing. Wenatchee the Hatchet may have misremembered. And to date, while all four members of the EIT have repudiated the nature and substance of the process they were involved in, Munson hasn't said a word. Munson can blog things like "Own it and Move On" as much as he likes, he hasn't seemed to own anything of 2007 and if he has, he now has to testify against the public witness and retraction of the EIT and a majority of the elders who voted in 2007. If Munson plans to be a consultant on leadership then he might need to consider the reality that at this stage the most publicly accessible example of his leadership legacy is over at Joyful Exiles. Mars Hill is dead due to fiscal implosion and the EIT that Munson put in place to oversee the trials of Petry and Meyer have this week publicly repudiated the process and its results. Munson, meanwhile, seems to have said nothing and may well believe to this day that what he did was the right thing. If a tree is known by its fruit, though, what are we to make of the death of the corporation of Mars Hill and the public recanting of 2007 elders as indicators of the health of Munson's leadership style for corporations? Did Munson oversea a few site launches at Storyville? Well, great, it's easy to launch a few new sites in an already established franchise. Has Munson started a company from scratch that has done something productive? Not yet and it remains to be seen if he can do that. We've never been told why Munson resigned in 2011 but if Munson resigned because managing Mars Hill was stressful and if it was tough for a small executive team to handle everything whose fault was that? Well, who drafted by-laws in 2007 that consolidated leadership even more into a small coterie of executive elders? Depending on who you ask and when, it was Mark (by Driscoll's 2013 account in "Stepping Up") or, during the 2007 period, Jamie Munson. It may be that if Jamie Munson found the stress of managing Mars Hill too much to handle (if that was even the case) then Munson only had himself to blame, since it was his brilliance and competence that got him and Mars Hill Church to that point, after all. In the face of Mars Hill dying and a majority of 2007 elders publicly apologizing for their votes against Petry and Meyer it can look as though Munson's 2007 claim that Meyer and Petry had a sinful distrust of spiritual authority (i.e. Munson's leadership) may be true if we include a caveat that the death of Mars Hill suggests that Munson's basic competence for leading Mars Hill is now retroactively in question. After all, if Munson was above reproach and set Mars Hill on a good path from 2007 on why is the corporation dying again? Why was Turner in some kind of panic mode in March 2012 over the financial health of Mars Hill again? Didn't Driscoll credit Munson with finding the building that became the corporate HQ that is on sale now? $1.5 million. If anything it can seem as though Meyer and Petry were wise to question Munson's competence and financial acumen and the consolidation of power into a shrunken executive branch. That's the executive branch whose leadership helped steer the corporation to its miserable death. For those who might consider Munson as a leadership consultant, take heed of an old Latin phrase ... caveat emptor. Hays has noted that there seems to be no shortage of people with "lessons" to share with all and sundry readers about the rise and fall of Mark Driscoll. He observes that framing the history of Driscoll and Mars Hill as a pretext to lay lessons on readers begins with presumption and prejudice. What may be worth noting in addition to this observation is that while some journalists have remarked that many of Mark Driscoll's most determined critics have never attended the church Mars Hill this could not be said about Wenatchee The Hatchet, who spent about ten years inside the church and never burned any bridges (all those leaks from The City came from somewhere, after all). Wenatchee The Hatchet was also actively recruited into a number of ministries by the leadership of Mars Hill. Be that as it may, a lot that has happened in the last year was unexpected. One of the great problems with pundits talking about "lessons" to be learned is that all of these lessons smell as though they were ginned up in mere coincidence to the history of what has unfolded. If the lessons you think you've got to share in the wake of the Mars Hill debacle are ones that vindicate you then, well, you probably learned absolutely nothing at all and don't have lessons to share. Wenatchee was not in the custom of actually defending Driscoll as such but what Mars Hill seemed to actually be. Once what Mars Hill transformed into something else entirely, defending it was not only no longer prudent, but problematic. And yet for all that Wenatchee has never told people "You have to leave Mars Hill". Nor has Wenatchee The Hatchet been one to condone "Mark Driscoll is evil" commentary. What lessons there may be to learn haven't been learned and possibly won't be learned because to understand Mark Driscoll's fall we have to understand something about his rise and it's in understanding THAT that Christian pundits aren't interested much in "lessons" at all these days. HOW did Mark Driscoll become the star he became? It's as though he changed when he began to publish books. The first book was copyrighted to Mars Hill Church and not Mark Driscoll but how quickly that changed. If anything Christians need to subject the Christian publishing and media world to more scrutiny because it seems impossible to just assume Driscoll could have plagiarized in half a dozen or more books if the publishing industry had not been content to let books hit the market that could have been better sourced. If the publishing industry had truly had a problem with that they would have applied pressure on Driscoll to do better work on his footnotes before books hit print. They clearly didn't. And while fans of Presbyterian polity may want to say how this is all a "lesson" about the necessity for a plurality of elders that's nonsense. Why? Simple, because a plurality of elders voted through bylaws in 2007 that consolidated power into a small group. It doesn't matter how grand a plurality of elders you have in place if they're of such poor character and theological and organization acumen they vote away the power they have to govern the local church. Or, to put it even more nicely, if they're all beholden to a lock-step conformity on such idiotic fads as the courtship fad then when things that actually mattered like governance came up they'd primed and trained themselves to lockstep into conformity to the death of the organizational health of the church. This is not something Wenatchee suggests against Presbyterian polity in itself, just the idea that the "lesson" learned is that there needed to be a plurality of elders. As Steve Hays blogged a while back, the scriptures are more concerned about assessing the CHARACTER of the people who are placed in eldership than in outlining some flow church for practical ecclesiology. In fact the lessons Christians may most need to learn may not have much to do with the local church and more to do with what Pentecostals might describe as "principalities" or "powers". One of the "lessons" that may be learned here is that in some sense the entire Christian publishing and media apparatus of the United States bears some culpability in Mark Driscoll's citation errors. How many copy editors and proofreaders missed things? So maybe Mark Driscoll sticks with "maybe I made a mistake". Assuming that's the case the responsibility doesn't go away (after all, headship means it's your responsibility even when it's not your fault in Driscollian parlance) and Driscoll's publishers let these books get published in spite of their problems in the first editions. But what Christian magazines and sponsored blogs are going to run with a "lesson" from the Mark Driscoll debacle that reads: the entire Christian media network let a pastor crib material in half a dozen book from a dozen books without adequate citation and this, in turn, casts doubt on the ethics and credibility of mainstream Christian popular publishing houses. Yeah ... don't hold your breath waiting for that "lesson" to be learned from the Driscoll debacle and published in a glossy. Now maybe someone could suggest that if Driscoll and Mars Hill had just given away all the stuff for free this could have been avoided. Well, alas, that Driscoll and company gave away so much for free was precisely part of how Mark Driscoll became a star. It was easy to give away mountains of content as Driscoll's star was on the rise. It was part of the bad boy charm, so to speak. Driscoll wasn't exactly taken down by the press. Here a comparison to the Nixon administration may be unfortunately apt. While it's salutary that Janet Mefferd and World Magazine did the work they did it would be overstating things to say that their coverage was more than coverage. The actions of Mars Hill on behalf of Mark Driscoll were what damaged the reputations of both and the coverage simply brought to light what was apparently already known within the organization. After all, if Jeff Bettger had heard enough to have doubted the ethics and propriety of a book promotion then, as Moses once said, "Surely the thing is known." If elders at Mars Hill knew about Result Source then they let it happen with few objections. On the other hand ... it remains a mystery how that Result Source contract got to the press. If the left has had a field day seeing the homophobic misogynist preacher boy go down they played virtually no part in that process. The Stranger's coverage was pretty good overall, to be sure, and this was at least partly due to the spectacular home court advantage. But The Stranger also had the liability (among evangelicals) of, well, being The Stranger. What Mars Hill has shown us over the last 18 years is that the propensity for in-group think and echo chambers to utterly dominate coverage at the expense of finding out what the actual facts are was embarrassingly common for both the left and the right (used loosely). Anti-charismatics kept hammering that point while progressives hammered the matter about Mark on gays. The problem was that so long as everybody fixated on things that are protected by the First Amendment that was not only business as usual, that was essential to the sales pitch inherent to the public persona of Mark Driscoll. Driscoll was able to position himself as the perfect centrist. Liberals made him seem like the victim of hate from godless heathens on the one hand, while fundamental/Reformed objections made Driscoll seem middle of the road thanks to his breezy pulpit persona. What changed things was breaking down the problems in the Driscollian product catalog, book by book. Progressives were never going to accomplish this because they don't read evangelical books for entertainment or edification and if you don't do that it makes it harder to spot plagiarism when it happens, generally. Conversely, evangelicals may have reached an age where Christians argue that intellectual property is basically not Christian anyway. If so then what some have informally said about Driscoll may apply, he's been likened to an Al Capone who wasn't busted for murder (of sound doctrine, of healthy ecclesiology, of a balanced understanding of biblical texts, bully and character assassination) but for tax evasion (or, by extension of the analogy, mistakes dealing with intellectual property). Just as some people think nobody should have to pay taxes others think that IP shouldn't exist. That raises a fascinating "what if" question, what if there hadn't been any intellectual property involved? Might that have prevented Driscoll from going off the rails in some way? Might it have been possible for some kind of cult of personality or name-brand following to have been pre-empted? Well, as yourself something, did Lutheranism come into existence because Luther had copyright registrations with all his work or by force of his personality and the substance of the reforms he sought to bring to the church? Driscoll's scandal erupted because Mefferd accused him on air of plagiarizing the work of others but if plagiarism had no civil consequences then there sort of wouldn't have been the same kind of scandal, would there? Then there was Result Source, then there was Global, then there was the matter of how much the executive elders knew about the pending eviction in Orange County when they apparently and allegedly decided to play chicken with a city, and then there was the International Paper Building. The scandals that progressively broke Mars Hill seemed to have nothing to do with doctrine or behind-the-scenes politics and everything to do with intellectual property and real estate and how money got spent. Jesus did say something about how "Where your treasure is, there your heart will be also", right? So what did we learn about the things treasured by the leadership of Mars Hill through the Result Source fiasco? What did we learn about the Christian publishing industry through the full scope of the plagiarism controversy that swirled around Driscoll for about a year? Wenatchee The Hatchet isn't sure anyone learned anything if everyone's going to take such pains to share the "lessons" everyone else needs to learn. If the lessons you think you've learned or are ready to share with others vindicate or exonerate you and your ideas then you don't need to share them because you can sell your product in some other way. There are good reasons to rejoice and celebrate. Driscoll had no business being a pastor. Mars Hill was an abusive ministry (Paul Tripp’s words) bordering on a cult. I can only assume the fear and oppression that once prevailed no longer does. There is a lot to rejoice about. As Wenatchee The Hatchet has documented and discussed in the last week, back in early 2008 Mark Driscoll declared that it was "a demonic lie" to suggest the executive elders didn't love people in the period when the 2007 firings happened. But why would anyone get the impression that the executive elders at Mars Hill Church might not love people? Oh, right, because the executive elders did this thing where Meyer and Petry fired, run through kangaroo courts, and then Petry was shunned, which the vast majority of elders presiding over said kangaroo court process have lately publicly admitted was wrong a mere two days ago. Yes, it was overdue. Yes, seven years ago they should have conducted themselves differently. Then again, in Ps 51 we see "against you alone I have sinned" even though David sinned against many, many people. Spurgeon said this was the toughest part of the psalm and it's tough because David seems to write as though he sinned ONLY against the Lord in spite of having taken a man's wife, had the man killed, and used and abused royal power and privilege to get all these things done. But perhaps it could be said that even in the midst of contrition and repentance David still showed that sin is deep in the heart before it erupts into action and that repenting from sin is messy. IF that was so with David it may be so with the men who signed their names on the recent letter. Who was in Acts 29 leadership circa 2004-2006 that could illuminate what happened? Who might have the David Nicholas letter Ron Wheeler alludes to? Part of setting things right with respect to what happened in 2007 may not just involve what happened in Mars Hill Church but how things may have played out in Acts 29 even before 2007 happened. If someone actually has the letter from David Nicholas that Ron Wheeler references, please (if you would) make it available. Meanwhile, for some reason the Christian Post ran a piece with prominent quotations from Tim Smith and Justin Dean. Justin Dean's track record handling PR for Mars Hill has been a trainwreck from start to finish. Whether it was telling Slate that Andrew's disciplinary situation went on The City due to unclear communication; telling the public Mars Hill was partnering with Lifelong AIDs Alliance when forms hadn't been filled out; or explaining that Mars Hill was going to outbid whatever Sound Transit paid to get the International Paper Building, Justin Dean's general career handling PR at Mars Hill was highlighted by examples of or defenses that hinged upon incompetence. As for Tim Smith, well, he wouldn't be where he is today without the active investment (financial and relational) of Mark Driscoll so it's not a big surprise Tim Smith feels reluctant to address anything about the investigation the report for which should still be made available to members of Mars Hill. After all, if the investigation actually prompted Driscoll to resign it seems all the more important that members, who are seeing the corporation dissolved and dismantled before their eyes, have some idea what on earth transpired. And since the "DNA" spreads out to Acts 29 and its history there's far more unanswered questions left in the ether here. Smith and Dean sound excited and hopeful but there's as yet no reason to be hopeful. The corporation is dissolving and there's no indication as yet Tim Smith or the other campus pastors have the ability to keep the spin-offs going. Given how many problems have been brought to light in the leadership culture of Mars Hill in the last few years it's not entirely clear yet that any of these campuses will or should survive unless a massive transparency project is undertaken. Redmond's right, the impact of Mars Hill and its rise and fall are far-reaching. The thing we should be least in a rush to do (which plenty have already done) is use this situation as an occasion to talk about lessons learned. If we'd ever learned those lessons to begin with this whole morass wouldn't have happened, would it? Talking about lessons learned tends to be nothing more than code for the soap boxes we were just going to jump on to anyway if the church that was dying was some other church. Perhaps unsurprisingly, Wenatchee The Hatchet isn't the only writer who's been wondering about where on earth all the assets Mars Hill has been sitting on are going. Becky Garrison has a new piece up at Religion Dispatches. What's going to happen to Resurgence Publishing, Inc? So Mars Hill is dissolving and recent reports have it that Mars Hill campuses/satellites/churches are planning to become independent. But if as some have reported all the assets were cross-collateralized into a single loan a few years ago is it possible the campuses have been lump-summed? How would churches gain independent in this setting? Perhaps once the corporation known as Mars Hill dissolves the individual attenders of the respective churches could buy up the real estate but who's got pockets for that? And as pockets go, it's still not clear where all the funds given to and through Global went. An apology is one thing, accounting for where the money went after it was designated is another. Informally Wenatchee has heard from just enough former members who donated to fixed projects who discovered MH dumped the money in the general fund that if that thing happened to you, dear reader, don't rule out contacting the attorney general. This isn't about some guy playing 1 Cor 6 as a way to avoid financial transparency, it's about the sword not being wielded for nothing. The controversies that erupted within Mars Hill in the last year have since cast doubt on the financial transparency of its leadership set in a way that atheists could cite as a reason other churches don't deserve any tax exempt status at all. And, of course, if you've kept track of some court cases the housing allowance exemption has been questioned. In a paradox of persecution complex defenders of Mark Driscoll and Mars Hill may not fully realize how this whole situation can look to secularists (not that Wenatchee is a secularist)--Mars Hill's shenanigans could be part of a process that wrecks things for other churches. 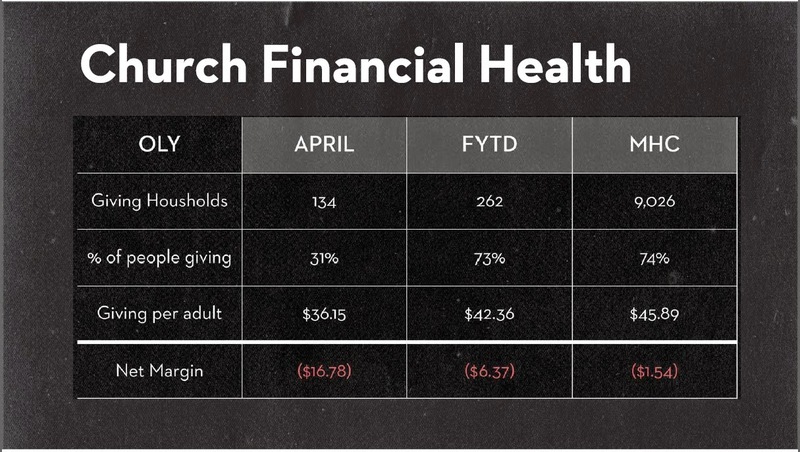 If Mars Hill's death is going to include positive steps forward divulging the finances of the church would give a more honest and clear indication of where all these would-be independent churches have come from and what they have to work with. It has been increasingly clear that Driscoll resigned rather than face the restorative plan that was being offered to him and that some at Mars Hill seem determined to not address that that implies something about Driscoll. The article at the Christian Post features Tim Smith and Justin Dean, whose comments seem weirdly upbeat in the wake of the BoAA authorizing the dissolution of the corporation. Why's everybody so happy? Is it because they feel that though this is a "trying season" nothing's functionally changing? You'd think that with the resignation of Driscoll and the continuing public statements by former elders as to the sinfulness of the leadership culture that the public response might have more sackcloth and ashes. Apparently not at Mars Hill. No book of Lamentations stuff there, just excitement for a future without any clear explanation of where all the money's going to come from for this future. Worse, none of these leaders have shown that there's a REASON to trust them with your money, those of you who may still be attending Mars Hill. For those with some familiarity with the histories of Bellevue, Ballard, Olympia, Tacoma, Sammamish and the others it's not clear that any of these campuses have guys running them with the kind of charisma and momentum to keep things going for too long, at least so far as Wenatchee can surmise. After all, Mark Driscoll's persona had functionally transformed Mars Hill into a tele-church where people watched sermons a week later on big screens. People came for Driscoll and Driscoll quitting may have signed the death warrant of the church he co-founded. The expiration date is the end of this year anyway. Driscoll's still listed as president, Turner's still listed as secretary & treasurer, and Bruskas is still listed as vice-president. And the corporation is dissolving. Is there gonna even by an FY2014 report? Which gets us to Mark Driscoll's intellectual property, which is the only way to talk about the legal definition of what increasingly seems to be an accumulation of second-hand thoughts and jokes. His corporation On Mission, LLC has an expiration date of ... the end of this year. For sake of review this was precisely the kind of side company Driscoll said in 2009 that he didn't have and that he considered a sign of selfish greed. And one of the constituent parts of On Mission, LLC is the OMCRUT and another is Lasting Legacy, LLC. Can anyone to this day explain what Lasting Legacy even does? Mark Driscoll's intellectual property is still one of the bigger assets Mars Hill is sitting on for the moment other than the brand/trademark of Mars Hill itself. What's that worth? Who gets the trademark? With the corporation dissolving who would get it? The creditors? Might it be gifted to Mark Driscoll who could just turn around and relaunch Mars Hill? Who knows? Driscoll said in 2007 that at a certain point "you need a whole new core." Whoever gets the trademark/branding contents gets the brand. That the would-be independent spin-off churches DON'T GET TO USE THE NAME has been made clear by Justin Dean. But what's not clear is pretty much anything else. The blogging comrades in Canada have moments where they just bring their A-game and recently Dan at City of God blog used a rumination on Otto von Bismarck's unification of Germany as a fun parallel for the emergence of Mars Hill from the personality of Mark Driscoll. Having written at some length on Mark Driscoll seeming to have pragmatism as a core principle back in 2012 it's fitting that Dan compares Driscoll to Bismarck because Driscoll seems, in the end, to have worked more from a kind of church growth realpolitik than a principled set of theological convictions arrived at through careful study. There perhaps few figures from (relatively recent) history whom I find more fascinating that Otto von Bismarck. I remember being riveted hearing and reading about his exploits in my high school Modern Western Civ class. I’ll spare you the details (and therefore give you a gross oversimplification), but in a nutshell the aristocratic Bismarck moved over the course of a couple decades in the 19th Century to unite most of the Germany-speaking peoples outside of the Austro-Hungarian Empire into the German Empire – a state that was dominated by the landed classes of Prussia (i.e. : people like him). What made this accomplishment remarkable was that there were all sorts of powers working against Bismarck: German liberal and nationalist movements that would have preferred a more liberal and democratic state, Russia, France, Austria, Denmark, and a number of the smaller German states that Prussia absorbed. By the 1870s Bismarck had a united German Empire and was well-practiced in the skills needed to manipulate politics and diplomacy in Europe to ensure that German Imperial (read: Prussian) interests were protected. He did this from the position of Chancellor – one that he had more or less crafted to suit his needs. The problem with Bismarck’s system was that it required Bismarck. The eventuality that his German Empire was not well suited for was the inevitable end of his time in the role of Chancellor. A weaker or less calculating or less intelligent person filling the role in the German Empire would be ill-equiped to handle the machinery of this state. In effect one of the major factors that led to World War I – and by extension the unravelling of the German Empire was that a succession of weaker men held the position of Chancellor at the same time as the Hohenzollern line produced a rather erratic and temperamental Emperor. Bismarck appeared to have a solution to every eventuality except for the possibility that there might not always be a Bismarck. I’m thinking about this in the wake of Mark Driscoll rage-quitting his church only to have the whole thing implode. Churches and movements that make one human being indispensable are likely doomed when that person leaves. Does your church or network or denomination have a Bismarck problem? You may want to look into that question. So, thanks Dan, from Wenatchee The Hatchet. This was a fun read and an intriguing and apt comparison. First, go read the whole thing and since it's not an unusually long letter it won't take long to read. In summary, the letter publicly expresses remorse for doing the sinful, wrong, cowardly thing in letting an unfair and prejudiced trial take place that condemned Petry and Meyer and supported the shunning of Petry. The signers of the letter explicitly state that Petry was not wrong or out of line to contact the church attorney and that this was due diligence on Petry's part. Let's remember that the person who decided it was out of line and grounds for immediate termination was, at least via message, Jamie Munson. So, in short, the following men who were pastors at Mars Hill have retracted and repudiated the trials themselves and the subsequent shunning of Petry. Now, with that synopsis established (and the assumption you've read the full body of the letter) let's look at the list of men who signed. The reason these absences are particularly significant is because Munson formulated the charges. If the entirety of the EIT now repudiates the legitimacy of the trials and their outcomes then Munson's credibility has, well, if he ultimately had any credibility before now it's hard to know if he has any from here on out. Jennings was one of the executive elders in charge at the time the firings and trials took place. While the names of James Noriega and Bill Clem and a handful of others are not on the list of the recently published letter we don't know what words or actions have taken place behind the scenes in the last six years. Given that those familiar with Clem's history may recall his wife Jeannie was dying of cancer during this period a certain amount of understanding may be possible. If Clem and Noriega wish to make statements later on they have that option. Munson alleged that Petry was negative and critical of teen ministry and yet Driscoll himself had so publicly condemned youth ministry Munson's charge could be dismissed as incoherent in light of Mars Hill history and Mark Driscoll's own public statements. Allegedly Petry refused to participate in the ministry coaching program that may or may not have been done with MCI (and MCI seems to have been a Michael Van Skaik project, for those interested in some background there). If Jamie Munson wants to "own it and move on" then now he has to own the fact that the entire EIT has repudiated the termination and trial process he was part of. And Mark Driscoll now has what appear to be a majority of the elders who were in office at Mars Hill in 2007 publicly retracting and asking forgiveness for the things they were part of in 2007. Now, back to the signers. It's encouraging to read that men who were part of the termination and trial process of 2007 for Meyer and Petry have chosen to speak up and take responsibility and confess their activity. Some of these men may not have known or realized what they were really doing at the time in 2007 and some of them very probably did but that they are willing to publicly address the matter now, confess, ask forgiveness and seek to set a better accounting of what happened than what was said in 2007 is a positive step. It also, unfortunately, suggests that at this point there's virtually nothing about the Driscollian/Munsonian narrative that can be taken as true or even plausible. It also testifies to an increasing amount of confession from the leadership (past more than present) to a leadership culture that has not only been abusive but either ignorantly destructive and actively deceptive as well. It's a positive thing for these men to speak up. If there's a man to be grieved by and for at this point the man is Mark Driscoll now more than Paul Petry. That's probably enough observation and commentary for now. While Wenatchee The Hatchet hasn't met everyone who put their names on the letter Wenatchee's met a good chunk of them and maybe more than a good chunk of them remember Wenatchee The Hatchet. I hoped this would come sooner but, again, better late than never. Thanks. But, you know, individual confessions from each of the guys would still be a good idea. And the absences are still disappointing, to put it politely. As big as this news will be for people associated with Mars Hill, that that guy from Car Talk died today is going to be bigger news than things connected to Mark Driscoll. There have probably been more lives changed by Car Talk than Driscoll sermons, at the risk of throwing out a willfully incendiary talking point. Bubba Jennings was one of the executive elders at the time of the termination of Meyer and Petry. Jennings would have been in a position to know what Munson's accusations were at the time as to why Meyer and Petry had to be terminated and why the terminations were "necessary and inevitable" and not political firings. And Jennings is incapable of dodging the issue forever since the correspondence at Joyful Exiles indicates he was one of the people Petry contacted in the wake of the firing. Now that EIT member Steve Tompkins has publicly expressed regret about the entire 2007 termination/trial process and, like others, cast doubt on its ethics and propriety, Bubba Jennings is not just facing down a financial situation that is delicate as MH Tacoma is offered a transition into independence, he faces a situation where in political historical terms Tacoma can't possibly be independent of Mars Hill political history without addressing what happened in 2007, not least because Jennings was one of the executive elders on whose behalf Jamie Munson formulated accusations against Meyer and Petry. Seth Winterhalter is one of those names that rings few bells for Wenatchee The Hatchet. Back when Wenatchee The Hatchet was paying attention to a Mars Hill Olympia the only name that tended to come up was former lead pastor/campus pastor Steven Mulkey, who was at Mars Hill Olympia from 2009 to 2013. Oversaw all day-to-day operations of the church from budget, volunteer coordination, and teaching. Planned and executed two building campaigns raising a total of 170k. Grew the church from under 100 to over 400 in under four years. Replanted the church into two different locations in 4 years. Planned and executed a weekly gathering for 4 years leading 90+ volunteers. Whatever role Seth Winterhalter plays as lead/campus pastor at Olympia is relatively recent. In fact Wenatchee The Hatchet recalls that in late 2011 Winterhalter was nowhere to be found in the Olympia listings. Winterhalter was in the Bellevue scene in later 2011 according to captures from The WayBack Machine (before Mars Hill introduced robots.txt). So Winterhalter may have shown up at Olympia some time in 2012 or very late 2011. Precisely what happened to Mulkey is hard to be sure about but given the firing rampage Sutton Turner has been described as doing Mulkey's employment may have been one of the many casualties of the Sutton Turner regime change. It looks like he was executive pastor at Mars Hill Olympia from September 2011 to December 2012. Implement vision and mission of the lead pastor through organization structure and strategy while discovering, developing and deploying the volunteer army. And by Winterhalter's account ... he became Lead Pastor at Mars Hill Olympia during December 2012 to the present day. Primary steward of the mission of the church to make disciples and plant churches. Cast vision, create momentum, and develop leaders to fulfill the mission. Well ... that kinda sucked. That's a double digit loss in the net margin side for April. The net loss for the fiscal year to date whenever the slide happened isn't too awful compared to other campuses, especially the campuses that closed. But unless Winterhalter has more fundraising mojo than Mulkey had whatever Mars Hill Olympia becomes may be short-lived. But there's more to cover. We'll eventually get back to things like "I see things" and to Driscoll opining on women in ministry, women gossiping, female manipulation and other things that we've actually discussed before. The irony of Driscoll sounding off on female manipulation by mentioning sob stories (you have to hear it for yourself on this point but it can be discussed in print) while having mastered the art of the sob story "should" be able to speak for itself, but since not everyone can keep track of the panorama of Driscollian rhetorical tools this blog may be of service. Driscoll used to joke that if someone wanted to criticize him in a footnoted way there were products available. Wenatchee The Hatchet never needed those. It's sounding like Olympia is making a bid for independence. If they do dig a bit into their history since much of the military ministry of Mars Hill was based there before it was shut down in April 2012ish and absorbed into Mars Hill Global. The reason the dissolution of the Military Ministry seems of note is that it could have been through the Military Ministry in its Olympia phase that Real Marriage bulk orders could have emerged, or at least a couple of anonymous sources have indicated this as having occurred. But as Wenatchee tends to be cautious about anonymous sources this is mentioned more so that, should any of the claims be true or not, people with Olympia associations could look into that. As the corporation known as Mars Hill dissolves keep track of what happens to Resurgence Publishing Inc and other spin-offs. If anyone to this day has any idea what Lasting Legacy LLC does, speak up. To this day nobody has been able to explain how the executive elders were paid or how much they were paid. A lone stab in the dark Wenatchee can suggest is that the executive elders may simply have had a third-party corporation to which Mars Hill may have made payments that were then disbursed to executive elders but without any indication of a third party corporation with articles of incorporation that could explain that it'd be tough to know. Meanwhile, we'll take a break from the warfare transcription project. Maybe in 2015 Wenatchee The Hatchet will finally get to that project of blogging about the evolution of sonata form in solo guitar literature in the 18th and 19th centuries ... .
During the 10:30 am service this morning, lead pastor Thomas Hurst announced his resignation. It was announced that Hurst wanted a break from ministry saying that today was his last day as pastor. Hurst then told the congregation that he wanted to be the guy to lead the new Bellevue Church but that he is tired and just can’t do it. The Hursts don’t plan to leave the church as members but Thomas is going to step aside as pastor. Hurst said the church leadership is looking to find somebody to preach the Bible for the new church. Whether Hurst will retain a directorship at the registered Bellevue Church, as mentioned ever so briefly over at this blog post, is not yet clear. For those who may not realize how long Mars Hill Bellevue (for now) has been in "core phase" go over here. Winkler planted The Vine and it was assimilated back into the Mars Hill fold where it was eventually run by Hurst but somewhere between Winkler and Hurst there may have been someone named ... Swan? Bellevue has had some musical chairs in leadership. The musical chairs weren't quite as shifting as Ballard's shift from 07 to 14 of Moi-Jennings-Clem-Early-Harris, but there was possibly some rotation going at Bellevue. Perhaps former or current attenders can clarify. Hurst was a photojournalist before joining the leadership team at Mars Hill. So Hurst, at least, has a professional skill set to fall back on if he leaves ministry temporarily or permanently. This would seem like a logical and natural career to return to during Hurst's break from ministry.